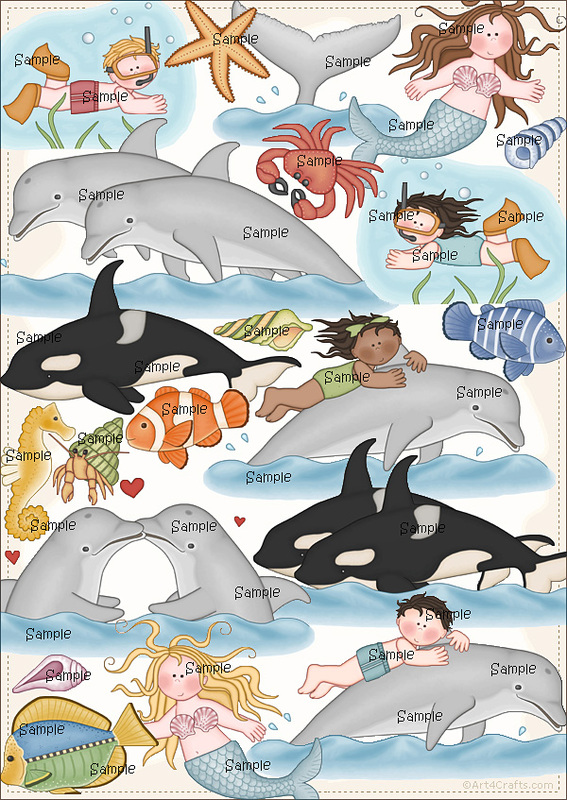 Lots of cute sea related graphics, such as dolphins, orcas, fishes, mermaids, kids diving, crab etc.. Above you can see samples of the graphics in this set, but not all colors/variations are shown. There are at least three versions of each kid graphics: Caucasian, Asian and with darker hair/skin and on top of this sometimes also boy/girl versions. 20 original graphics and 36 if all variations are counted. Important! If you haven't used my Craft Cliparts before, please download and try these free graphics before you buy. (It's a 350kB zip file with some graphics from the first 7 sets.) They are in actual size/quality, but somewhat smaller than the graphics in CC8 and all sets drawn after that. NOTE: I have completely redrawn this set in much larger format. The update is free for you if you purchased the old CC9 Under the sea (i.e. before November 1. 2018). Contact me and I'll send it to you asap (don't forget to identify yourself with name and/or email used when ordering).